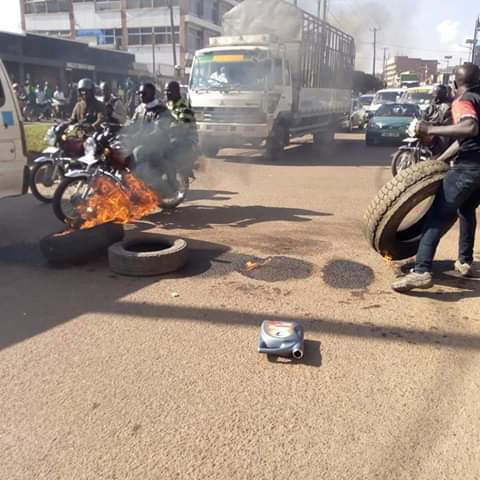 KAMPALA– Residents of Katwe in Central Division and Kamwokya in Nakawa Division have lit tyres in protest over police’s blocking of Bobi Wine’s Boxing Day music concert at his One Love Beach in Busabala, Wakiso District. 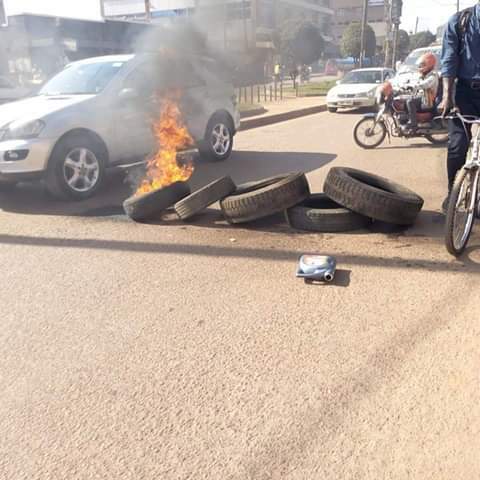 In Katwe, the main road was blocked with burning tyres by the residents in a move that seemed to catch police by surprise. The same happened in Kamwokya where the road moving to Kyebando was blocked by burning tyres. Tension is currently high in the area. This is a developing story and more details will come. Police on Wednesday heavily deployed at Bobi Wine’s One Love Beach Busabala where he was planning to hold a music concert later.